The Services Marketing Mix consists of a set of tactics that a company can use to promote and encourage potential customers to buy their service. The Services Marketing Mix is also known as the 7 P’s of Marketing. 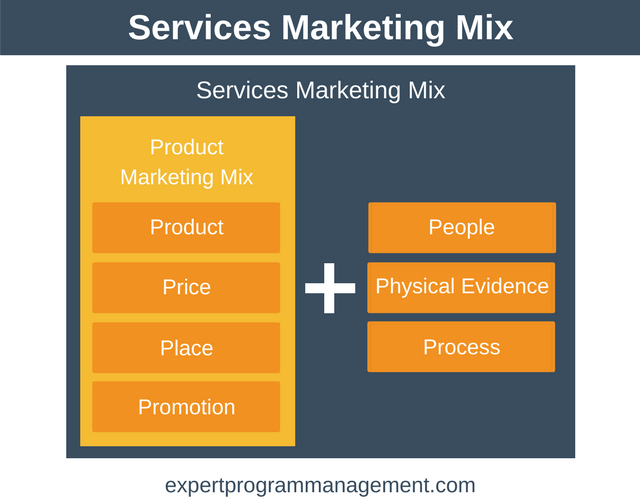 The Services Marketing Mix is unique to services. The model is an extension of Product Marketing Mix (also known as the 4 P’s of Marketing). All four tactics of the Product Marketing Mix used to market products remain, but three new tactics are added. The additional 3 P’s (or tactics) are needed to adequately capture the options available to market and promote services. Intangible: they cannot be seen, tasted, or touched. Inseparable: production cannot be separated from consumption. Perishable: Once used, services cannot be stored, saved, or returned. Heterogeneous: describes the uniqueness of services, meaning they cannot be mass produced. Examples of businesses providing services include airlines, hotels, and SaaS (Software as a Service) companies. The original marketing mix was proposed by Jerome McCarthy in his 1960 book Basic Marketing. 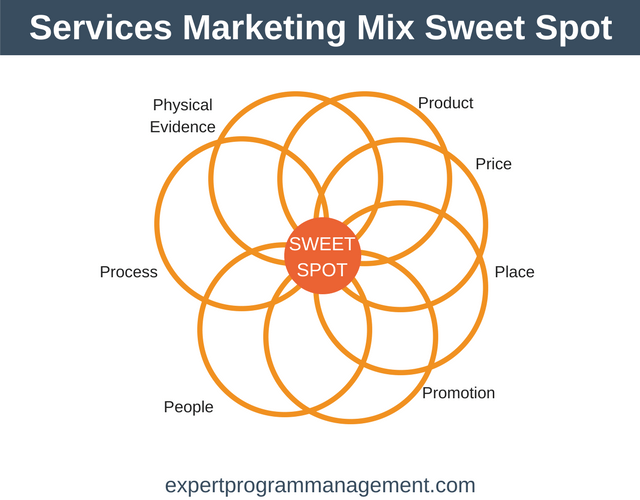 Extending this model to services, the Services Marketing Mix was developed by Bernard H. Booms and Mary J. Bitner in 1981. The Services Marketing Mix (or 7 P’s of Marketing) is shown in the following diagram. Product refers to the service a company wishes to sell. This could be flights in the case of an airline or rooms in the case of a hotel. Because services are intangible it can help to think of services as being an asset plus the processes around it. When you book a hotel room for a night you use the hotel room for an evening (the asset). But you also undergo a series of processes such as checking-in, checking-out, and having your luggage brought up to the room etc. Price refers to the price a customer pays for the service. Pricing for services can be little more complex than for products. Will we charge a fixed price for a seat? Will we charge more as the flight gets increasingly booked? Will we charge more for peak times? Will we offer discounts for group bookings? These are just a few of the factors that might need to be taken into account when determining the price of flights. Interestingly, because services are much more ambiguous than products, customers are likely to associate a higher priced service with superior quality. For services, place refers to the ease of access that customers have to a service. This can involve a physical decision such as where to locate a hotel. It also involves determining which intermediaries or affiliates to use to help you sell the service, for example, hotels.com. Promotion refers to the different ways you communicate, describe, and advertise your product. Using celebrity endorsements to create trust in the product. Offering guarantees to remove risk. Listing any “household name” customers. Using branding to highlight the quality of a product. By people, we mean those people who are directly or indirectly involved in the delivery of the service. This typically means employees of the company. But it can also mean subcontractors with direct interaction with customers. It can even refer to existing and past customers of the company. These customers represent the company through word of mouth. People are a very important factor in the 7 P’s because services tend to be produced and consumed at the same time. Because of this, the behavior of these people is very important in determining the experience of the customer. All service businesses should ensure that staff are well trained and motivated. But there is another way to adjust the people tactic. This can be done by adjusting customer experience to meet the needs of individual customers. As an example, imagine a hotel guest tweets that they’re at your hotel preparing for an important meeting the next day. Then the next day while the guest is out, your staff place a handwritten note in their room wishing them every success in their meeting. Alongside this, staff place some complimentary chocolates in the guest’s room. This tailoring of customer experience will tend to make the customer more satisfied in the short term. It also makes them more likely to become a long-term customer. Furthermore, they are more likely to tell their friends and colleagues about their great experience in your hotel. The environment or place where the service is delivered. Any tangible elements that facilitate the service or provide information about the service. As an example, consider a potential customer who wishes to visit a hotel for the first time. The physical evidence might include pictures of the hotel, past customer reviews, and the hotel’s proximity to the center of town. Process refers to the procedures, mechanisms, and flow of activities that occur when the customer and the business interact with each other. When, for example, a customer books a hotel room a process is triggered. When the customer then checks into the hotel another process is triggered, and when they check-out yet another process is triggered. All of these processes need to be tightly controlled to ensure consistent customer experience. They are usually defined in written Standard Operating Procedure documents (SOPs). One criticism of the 7 P’s is that they force you to think in an internally focused manner rather than a customer focussed manner. When using the Services Marketing Mix, what we’re trying to do is get the right balance of each tactic so that the service is a success in the marketplace. We can think of the sweet spot as being the point when all seven tactics are in balance. If you adjust one factor/tactic then you may have to adjust the others to maintain balance. For example, if we decided to change from a budget airline to a luxury one, we’d obviously change the price, but we’d also need to change all the other tactics too. We’d probably need more People to offer a more personal experience and we’d need to change Process so each customer is given more care and attention. Let’s use the example of a luxury hotel to see the Services Marketing Mix in action. The core product of the hotel is its rooms which customers stay in for a period of time. Of course, there is more to a luxury hotel than just it’s rooms, there are also its restaurants, free wifi, and the spa. You can learn more about defining products and services in our article about the Five Product Levels. In the case of our luxury hotel, the price will vary according to room size. So, as you might expect a large suite with a cityscape view costs significantly more than a small room with no view. This is because the value perceived by the customer is much greater. For our hotel, place concerns how the service is consumed. Typically, a place will be chosen for a strategic reason e.g. close to a city, business center, or tourist attraction. Obviously, the location of the hotel is in one fixed place. However, Place could also mean that a mobile app is used to give customers easy access to concierge services wherever they happen to be. For our luxury hotel promotion could include advertising on travel websites related to the location of the hotel. It could also mean directly advertising to past customers, using social media, and press releases. The people who interact with guests would include managers, receptionists, concierge staff, cleaners, spa staff, waiters etc. The key processes for our luxury hotel include the things that happen when a guests book a room, check-in, stay in the hotel, and check-out. Each of these will have a unique and formal process associated with them designed to delight the consumer. For our luxury hotel, the physical evidence includes the customer service received before and after the stay, how the lobby looks, any music playing, the hotel’s website, and online reviews and photos, amongst other things. In a nutshell, the Services Marketing Mix provides seven tactics that can be adjusted to help you attract and keep customers to any services business. 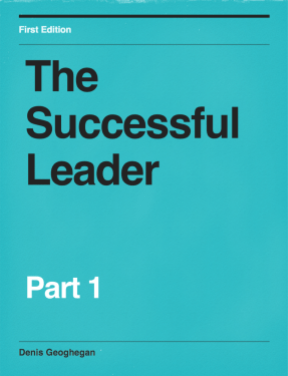 When using the tool the aim is to find the right balance between all seven tactics so your service is a success in the marketplace (the sweet spot).